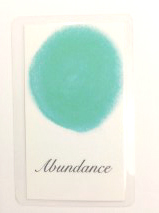 This colour appears in the aura when we habitually either take or too much responsibility or don’t take any at all. *Some will be dignified, proud and very much at the mercy of their own high standards. These people tend to have royal blue, dark green colours and salmon red/pink in the aura. They carry too much responsibility without accepting support. This weighs down the shoulders, making the colour frequencies of the heart and throat heavy and deep, due to the lack of circulation and incoming light. The greater the martyrdom, the harder and darker the colours become, sometimes taking on a murky muddiness or loss of clarity and sparkle. Blame orange in an aura like this will feel like a groan; if you listen to your body empathically while in the presence of an aura like this, you will feel tense as though stretched to the limit. *Others will take too much responsibility in more of a shame-based manner. They might worry constantly about how they are affecting others, being overly apologetic and self-effacing. These people tend towards excessive guilt and low self worth. Some of their aura colours are pale and washed out- especially the yellow frequencies. They also tend towards slimy yellow-green aura colours and gritty mustard aura colours. Blame orange in a shame-based aura will tend to look like an open wound that won’t heal, and you will feel a lot of heart-chakra pain (an empathic tightening or ache in your chest). *If there is a lot of self-pity, you will tend to see Blame Orange alongside pale wispy greys and dark green colours, especially shades and textures that might put one in mind of avocado or crocodile skin. Being able to grieve for and feel compassion for ourselves and what we have been through (or what we don’t have etc) is important, but when it becomes habitual, self-pity tends to give rise to self-defeating thoughts and behaviours, resentment, resignation, and sullen/sulky/angry depression. These people often feel angry at themselves, and some of them deflect this anger outwards onto others (Feeling angry at myself is uncomfortable, so I’m going to blame you instead, that way I don’t actually have to take any responsibility for myself). The blame colour in an aura like this will tend to appear as jagged shards of colour, festering acid-like bubbles, or burning hot coals. *Some of us blame others without really having much apparent self-pity or anger. These people can be quite upbeat and pleasant to be around, so long as you don’t need them to take responsibility for something. Their responses to potential responsibility vary, but generally revolve around escapism in one form or another; they might leave town, pretend it isn’t happening, put it off, watch TV instead, sleep in, and be baffled as to why someone is angry with them for not following through. Some will be selfish and lacking in empathy. These people tend to have brighter, more cheerful colours in their aura (especially orange colours), alongside of dull plumy purples. There will often be a strange mix of extroverted cheerful aura colours alongside cold, dry, hard, grey-tinged colours (e.g. ice blue, eucalypt green). The blame colour in an aura like this generally functions as a blockage that blocks energy flow through the aura, or a hole like an empty mouth that can’t be satisfied. If you dig deep enough, you will still find anger, but it tends to be deep in the aura, buried in early childhood (e.g. anger at a parent, not getting needs met, trust issues etc). Colour Visual: Crisp lemon yellow, like lemons, daffodils or dawn sunlight. Feeling State: Efficient, streamlined, clear-minded, awake, alert, astute. Smell and Taste: Fresh, clean, sharp, sour, astringent, tart, bright. Cleansing, clarifying, astringent, nervous system tonic, mild stimulant, grounding, cutting, drying, dispersing, liver tonic, digestive stimulant. Muddy (Confusion) Brown, Pale (Insecurity) Yellow , Dark (Anxiety) Yellow, Dark (Rumination) Yellow. You can use the Aura Cards to assist you in counselling others or or you can use them to seek guidance for yourself. I personally use the cards in both ways. When I first made the cards, I made them for myself and used them as my private set of cards whenever I needed help thinking something through or understanding an issue I was facing. They helped me see my situation from a broader perspective, bringing me much needed clarity, peace and insight. Over the past few years, I have been using the cards to help me counsel other people in place of doing an aura sketch. While I still do aura sketches, I use the Aura Cards more often because they conserve my psychic energy and help me provide a more efficient service. Instead of spending an hour and a half doing a full aura sketch and reading, using the Aura Cards enables me compliment the counselling with healing, all in the space of an hour. This way I can offer a more well rounded service to the client while also saving them time and money. You can use these cards to read the aura, even if you think you do not have any psychic ability. Whether you think of the Aura Colour Cards as tarot cards or not is entirely up to you. There is a popular misconception that psychic readings are all about fortune telling when in actual fact, a lot of psychic readers are natural counsellors who specialise in spiritual psychology. Spiritual counsellors may still focus on the future, but they do see it as being more important that the present or the past. When reading for yourself, you will probably be able to guess what each card is referring to but it can be difficult at times because you will not have the detachment needed to provide yourself with an unbiased perspective. This is where the book comes in really handy. When you are reading for other people, try not to refer to the book so much – use your intuition. You might find your colour meanings end up being different from mine. If they do, that’s wonderful! You are developing your intuition and establishing you own unique language of colour. When reading for others and feeling unsure about how to interpret a colour card, talk with them about the card characteristics. Often the person receiving the reading will be able to tell you exactly what each colour means and you can then explore these issues together, using the cards as a guide. Don’t ever feel as though you have to do the ‘fortune telling’ thing and dazzle others with your psychic prowess. It is far more constructive to use the cards as a spiritual counselling tool. When I am in doubt, I simply use the cards as a guide for asking the right questions. If Vulnerability Pink came up I might ask ‘Have you been feeling vulnerable?’. Hopefully, each card will provide some philosophical life-tools and perhaps even the odd revelation about the links between personality, behaviour and life circumstances. Because I specialise in helping people with emotional, psychological and spiritual health and growth, the Aura Colour Cards are naturally best suited to that approach. While I do not specialise in using aura colours to read the physical condition of the body, the previous chapters discussion on the link between chakras, colours and the body will provide you with insight into this area. Every Aura Colour Card has a range of possible interpretations. With practise, your intuition will tell you how to interpret each colour, but in the meantime, you can often clarify which meaning or aspect of the colour is most relevant by using a card spread or layout. We can narrow the meaning down when using more than one cards because we can check colour combinations as discussed in the last chapter. We can also cross reference the colour with a position in the aura. I call this ‘aura mapping’. Here is the main layout I use when working with the Aura Colour Cards. Each position in the layout is associated with a specific part of the aura, loosely associated with the seven chakras: These are the positions I have been working with over the past twelve years during aura sketch and readings. The area above the head is associated with the crown chakra, which is usually depicted in white, violet or purple colours. To understand this position, imagine a spiritual light above you shining in through the top of your head, or a thread running through the top of your head to connect with your soul. This chakra is your spiritual centre, reflecting your spirituality and your connection with your spiritual guidance. Your spiritual guidance can include your personal divinity, spirit guides, angels, deceased loved ones, the higher self and so on, with the words used being dependant on your personal beliefs and interests. In essence, colours in this area provide higher guidance and insight into your deeper or more spiritual values. The head area is associated with the third eye or brow chakra, positioned in the centre of the forehead, closer to the eyebrows. The third eye is often associated with purple, indigo or dark blue colours. This position represents your perspectives, attitudes, thinking styles and what is on your mind. Think of this area as representing your eyes and how they see the world around you, or imagine the colours in this area as lenses which colour your vision or perception. This area can tell you a lot about the issues a person is currently or habitually thinking about. The throat area is associated with the blue throat chakra, positioned in the centre of the throat. Colours found in this area can refer to your general communication style or communication issues in specific areas of your life. Throat colours can provide insight into the kind of things a person has been talking about with other people, such as issues of importance to them or things they are planning. To some extent, the throat chakra also tells a bit about how we come across to other people and how other people see us. The arms are an extension of the pink and green heart chakra, an area of the body representing emotions, relationships and how we relate to others. Colours positioned in this area are nearly always about people and they can even reflect the aura colours of people we are close to, especially when we are getting over involved with them. In effect, this position governs the emotional space between our heart and the heart of significant others in our lives. Colours around the arms reflect specific relationships, general recurring themes or patterns in your relationships and habitual emotional states. The hands are an extension (use ‘extensions’ – plural, as ‘hands’ is plural) of the yellow solar plexus chakra, positioned in the upper abdomen above the belly button, where the lower ribs flare. I generally use this position to represent work, career, role and identity. To some extent, self esteem, personal fulfilment and financial issues are also embodied within this area because self esteem, work and finances are so often tied in together. Colours in this position can tell us what a person does with their time, including major projects they may be undertaking, whether these be personal hobbies or work related. Hand colours can give you an idea about how a person feels about their role, job, place of employment, employer and work mates. I relate this area to the orange sacral or belly chakra, which sits in the lower belly, just below the belly button. This position represents our inner world and our subconscious, where we can find our deeper emotions, wounds, skills, strengths and personality traits, as shaped by our childhood and the past. Often, this position is about a person’s private emotional world, unexpressed emotion or potential talent that lies unrealised. Colours in this area draw our attention to what requires healing, releasing, uncovering, resolving and expressing in order for us to move forward. Our legs and feet are related to the red and brown base chakra, positioned at the base of the spine. Colours in this position usually represent temporary states and external circumstances, rather than personality traits. They tell us how a person is moving forward through life and what their near future may hold for them. Generally, this is a prediction area but it can include current issues, especially when you are working on issues to do with life direction, such as planning ahead or planting the seeds for a specific future. If you take a predictive stance, remember than predictions can sometimes be difficult to interpret correctly and the future is always changing. You can shuffle the deck in the same manner you might shuffle ordinary playing cards, with the colour side hidden and the generic backs facing you. If cards fall out, take note of them as they may be relevant to you. Some people keep these as the selected cards; other people take note of them, return them to the deck and keep shuffling. When I shuffle, I select any cards that fall out or poke out significantly from the deck. Other people prefer to fan them out face down and select cards they feel drawn to. Others will separate the deck into two or more piles and then put them back together in a different order, then turn the cards up, one after the other, from the top of the deck. If you cannot shuffle, put the cards face down on a table and mess them up! This can be a lot of fun and is a perfectly legitimate way to shuffle. 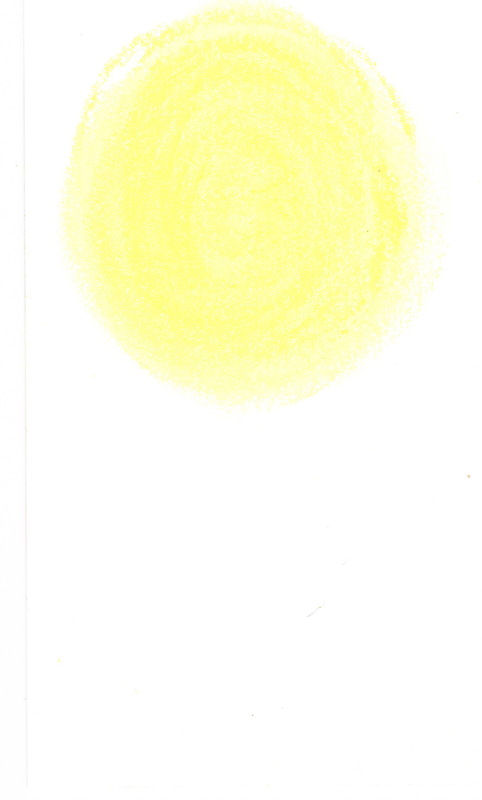 This blog is an old draft I recently came across, written for my Aura Colour Therapy book. If you have loved this blog, you might like to order an Aura Reading, an Aura Healing, or a deck of Aura Cards. Over the years, the style of sketching in terms of layout, detail and artwork has undergone many transformations. Spirit has put me through rigorous ‘colour’ training. In the first few years, the sketches contained a lot of abstract art revealing hidden images of numbers, wings, landscapes and animals that suddenly would leap out at you, when you looked from the correct perspective. I remember a beautiful sketch in my first year and when I sat back at the end, I suddenly saw white swans, peering out from behind her arms and legs. They seemed to be everywhere. Not surprisingly, we had been talking about self-esteem and feeling rejected by others. After seeing the swans I was able to use the story of the ugly duckling as a counselling device. Fairy tails are a wonderful way to convey ideas. Recently I had a client who had the image of a frog prince in her aura. The image I kept seeing was of a frog with a crown like the king in the children’s movie Shrek 2. I was able to use this imagery to explain that she had a gift for seeing the underlying beauty in others without judging a book by its cover. I was also able to warn against the danger of trying to rescue every frog prince with a kiss, because some frogs really are frogs and some princes just don’t appreciate it. Needless to say, the young lady has a tendency to become sexually or romantically engaged with young men who appeal to the healer in her. I don’t seem to get this abstract imagery as much any more. When I ask Spirit about why this is so, they say the artwork has simply changed and a different ‘format’ is being used. White is all the rainbow colours have merged together as one. As a metaphor for collective wholeness, White can be thought of as our greater spiritual or quantum physics reality, where all of life is interconnected and made out of the same ‘stuff’. Stated in aura terms, White is the collective energy field from which all individual colours (energy frequencies) emerge and return to. With incredible versatility and malleability, Silver takes on an enormous range of forms which are particularly useful to the psychic healer. Visually, silver can be elusive, tending to flash in and out of vision very quickly, like moonlight sparkling on water or lightning bolts crackling through the sky. To get the general feel for silver, think of moonbeams, twinkling stars, fairy dust, swords, scissors, needles, laser light, silver thread and silver coins. Some of these visual metaphors seem soft and magical; others seem sharp, fast and cutting. Silver, of course, is both.